It's been a while since I been on here so this may have been posted already and I missed it. Since the problem with the S truck spindles is the steering arm length, wouldn't this cure the whole problem and give us good spindles and brakes without the the steering issues? Speedway has bunches of different length steering arms, just have to match one to our existing spindle length. 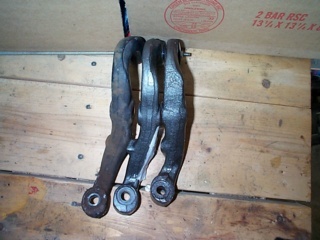 These new spindles should also accept the 1st gen Camaro steering arms to prevent the reduced turn radius and slower steering response when swapping to stock S10 spindles and using the Vega steering box. 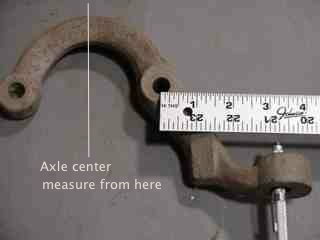 the shortest ones were 5.25" LH-3954875 RH-3954876 Used on power steer, and Z/28 fast ratio manual steering. I,too, am interested in this set up. I have S10 spindles, with flaming river rack & pinion, and suffer from lack of turning radius. I have installed the pwr steering flow reducer,, it helped, but still touchy. wouldn't shorter arms on the steering arms compound the problem? where is that "EZ" button? What are the specs on the rack you are using ? Shorter arms would increase the response. not sure on specs, as it was in the car when purchased. Check the turns lock to lock, you can get a slower ratio rack then go to the shorter arms for more travel. Have the spindle stops been removed from the lower control arms ? Have you had a complete front end alignment check ? Last edited by Smiley on Fri Dec 16, 2016 11:06 pm, edited 1 time in total. 1oldmf wrote: I,too, am interested in this set up. You may have too much toe out and/or not enough caster so have that checked out before you do anything more drastic. Check your number of turns lock to lock as Smiley suggested. That will give you a good idea of your rack's ratio. "I have tubular a arms, and have adj as much caster as possible,"
How much caster do you have? Is it at all positive? 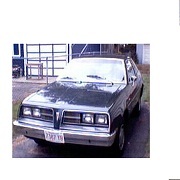 I think my plan may work, local guy just got a 78 that someone installed a Quad 4/Twin Cam in and a 5 speed. After he gets it running we are moving the inner tie rods tothe other side of the center link. Which should fix the majority of the issues induced by the Gbody/S10 spindles. I prefer the later ones as the dual piston calipers are stiffer and you can upgrade to Corvette brakes later on. I am waiting on another set of later two piece spindles, some used C4 Corvette parts to see if a hybrid setup like Kore# builds will work also. Now if you want to use a spindle that works better and actually has multiple arms available Speedtech/ATS spindles are a great upgrade, C5/C6 brakes bolt right up and it actually takes some weight off. Custom lines are needed though for the Speedtech/ATS part or Corvette calipers. I have been working with a wheel repair company as I want a way to cut down Corvette wheels, specifically 17x8.5 and 18.8.5. I have yet to see if I can make a wheel 1.5 in wider fit under an H body but need to get back into a job first. 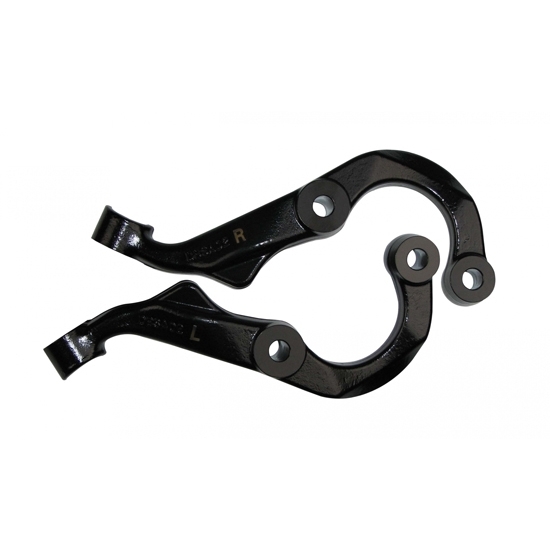 Have you had success moving the tie rods to the other side of the center link? can I assume that means switching the center link 180 degrees from the drivers side to the pass side. I'm interested in the effect on the steering with the s-10 spindles. Moving the inner tie rod ends to the front side actually moves them too far forward and may cause binding at the center link. Moving the idler arm and steering box forward to make up for the longer spindle arms would be better than moving the tie rod ends. Converting to rack and pinion is the best solution, but finding the correct length rack and mounting it in the proper location is more than most people want to tackle.